Now that Cerner has successfully rolled out its electronic health record platform at four military provider sites in the Pacific Northwest – Fairchild Air Force Base, Naval Health Clinic Oak Harbor, Naval Hospital Bremerton and, most recently, Madigan Army Medical Center in Tacoma, Washington – the "Initial Operational Capability" of the Department of Defense's massive MHS Genesis project is complete. For the VA project, it hasn't been confirmed who Cerner's partners would be, since a contract has yet to be finalized. But VA Secretary David Shulkin, MD, wants the DoD and VA system to be tightly unified, and so having Leidos and Accenture on board would certainly help with continuity. 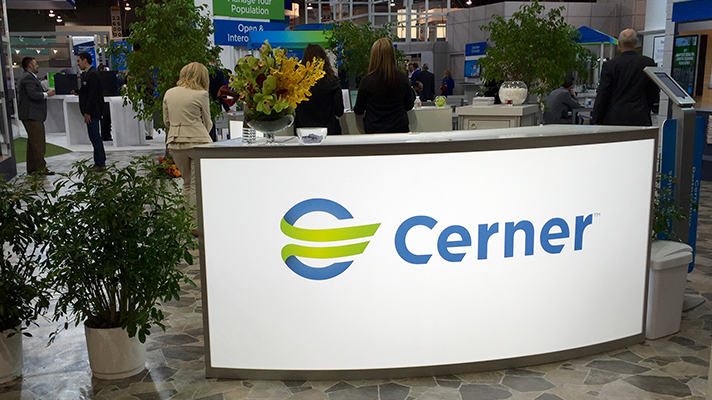 "Obviously we still have to get to a contract, but we're anxious to do that and are working hard to do that," said Cerner President Zane Burke. "We haven't finished our teaming agreement, our partnership piece, we'll be announcing that soon, but it's a safe bet to say we plan to keep the band together." In the meantime, Burke, says he's been pleased with the progress made during the pilot phase of MHS Genesis. His colleagues from Leidos and Accenture are too, and are looking toward the future as the rest of the sprawling DoD project plays out. The initial goal was "to go from simpler to medium-complexity to high-complexity here at Madigan," said Leidos Group President Jon Scholl. Along the way, there were "no surprises, but a lot of work," he said. "The checkpoint now is to step back and say what are the lessons learned, how do we change the process going forward so we can incorporate all those learnings and move forward from there." The military's processes and protocols are unique, he said, "just like any hospitals' are unique. So the learning has really come down to clinical change management, how the system is to operate in best support of the troops and the facilities in which it operates in the DoD." Accenture Managing Director for Federal Health Jim Traficant applauded the four DoD provider sites, each of which "owned the responsibility of being an initial operating capability (participant) and trying to help provide input to strengthen the process of what will happen downstream on behalf of the DoD. They're to be commended for their success as well as their input. I think both sides working together is a very good model for the good of the country." "Prior to the awarding of our contract, we independently with our partners developed workflows that we thought would fit within the operation of the military health system," he said. "And the government did that privately on their side. Then when we were awarded the contract we got together and compared notes. And we found good alignment between those sets of workflows." Of course, said Hogge, over two-plus years of working together, "there's been a lot of refinement of that: getting the workflows adjusted and tweaked to the exact way healthcare is delivered in each facility is one of the biggest focus areas of any deployment, either inside the federal marketplace or commercially. That's where a lot of our attention has been. "And then training the staff. There are some unique elements to training in a military health environment because of the OPTEMPO (operational tempo) of the sites, and the way people rotate in and out of the sites. We've had to tweak our commercial best practice to adapt to a military health setting. But those have been key focus points for our team – getting the system in, while you're continuing to treat patients and not disrupting the treatment." Now the addition of Cerner's VA contract adds to the scope and complexity of this project. "We'll work with the Leidos Partnership for Health, and our respective clients, to really create the most effective and efficient rollout possible for the servicemen and women and the veterans, which likely is a geographical approach that we'll tweak as that goes forward," said Zane Burke. "We'll work hand in hand to make that happen." "We have two clients, we're serving two customers, but it is one system," said Burke. "You've got to think about it as a single system that supports the both the DoD and the VA. It's obviously complex, what we're doing. "It was already complex, and the VA adds additional elements to it, but the VA is going to start with the DoD system and use that work moving forward," he added. "We already work with multiple partners and again, some consistency pieces are important moving forward, making sure we're as synergistic as possible." And that, said Burke is what the government is looking for: "How do they do this in an efficient and effective manner. And have it so the servicemen and women have access to their healthcare records in that geography, whether they're active-duty or retired."